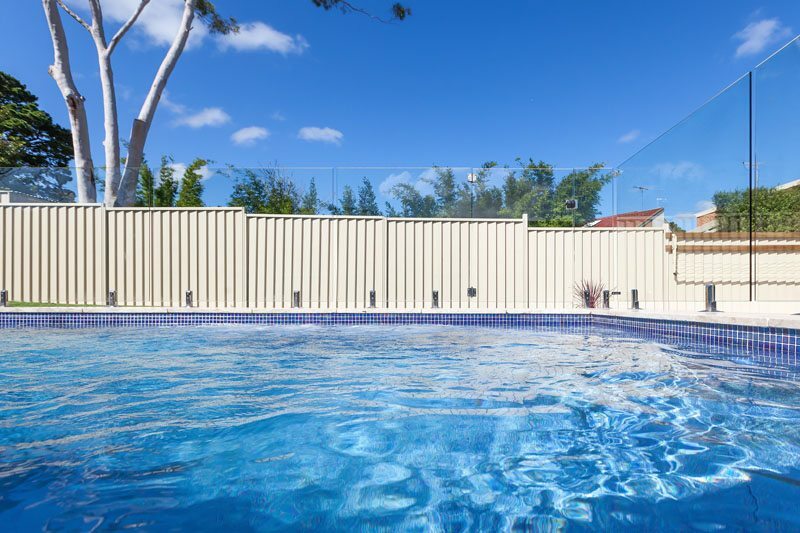 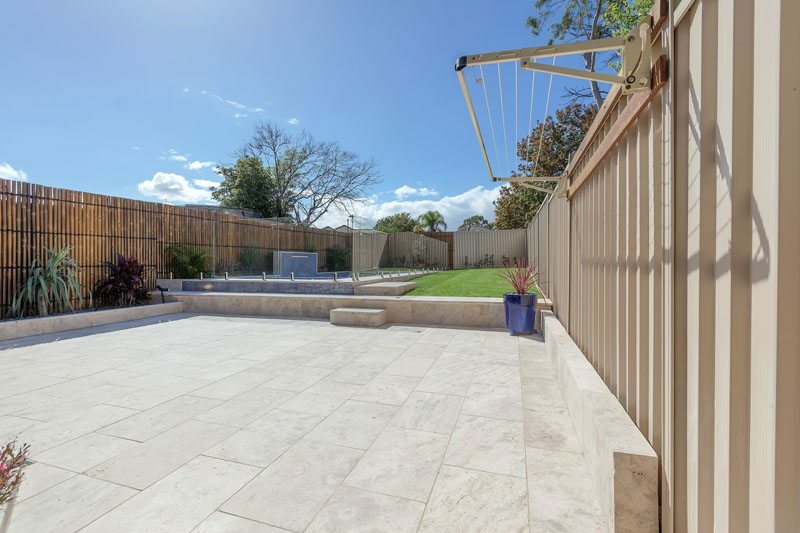 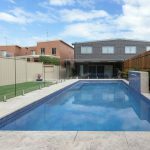 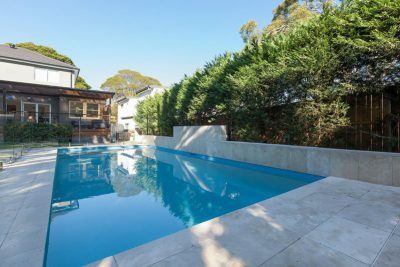 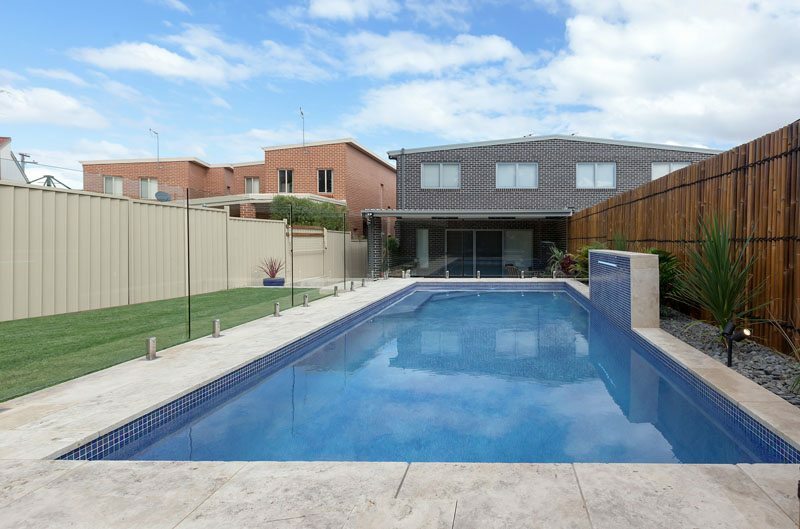 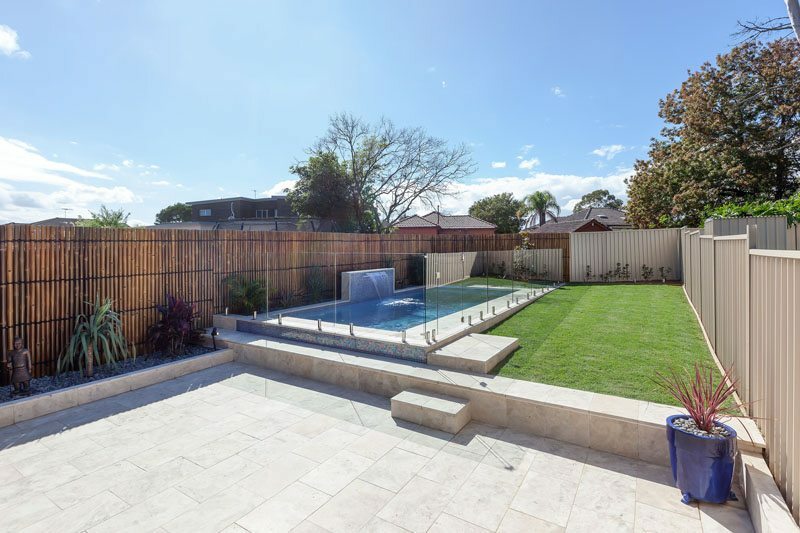 The focal point of this serene design from Revesby Heights is undoubtedly the sheer descent waterfall centred along the length of the pool. 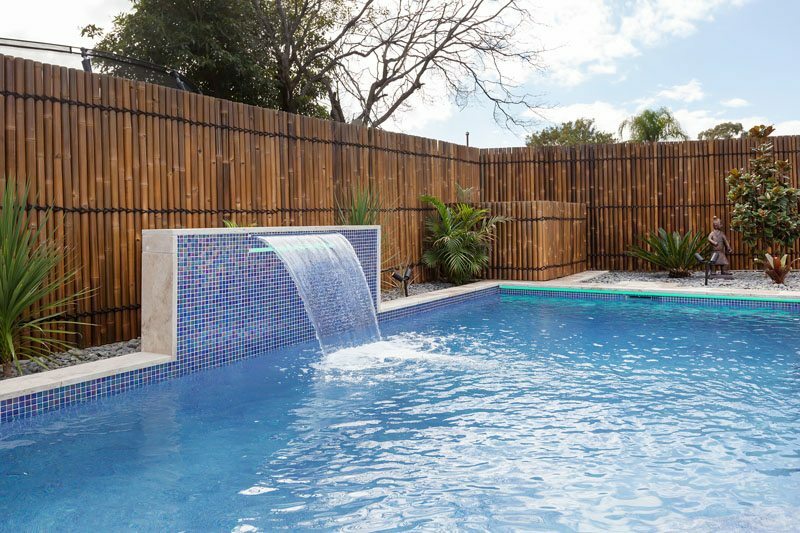 Andrew designed this waterfall to pour down from a wall of variegated indigo tiles which extend around the entire waterline, perfectly framing the feature. 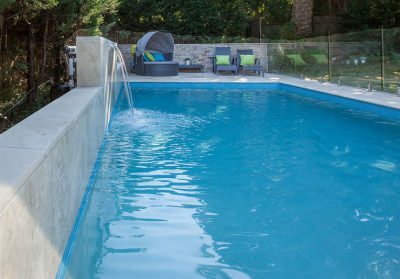 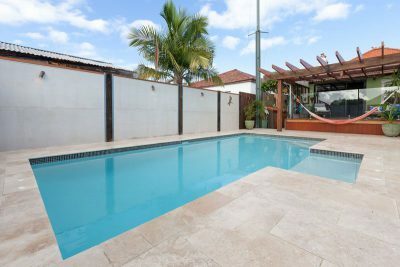 This inground concrete pool also features a blue jewel glass bead interior below the waterline and a beach area with jets. 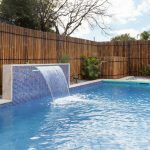 To maintain an ideal temperature, the setup includes a solar heating system and a pool blanket to retain warmth. 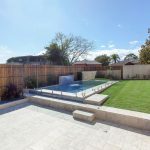 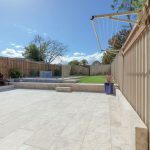 The 200mm coping width flows seamlessly into the pool surrounds, which include bright paving stones and several plant varieties that are easy to care for, keeping the design clean and low maintenance. 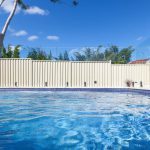 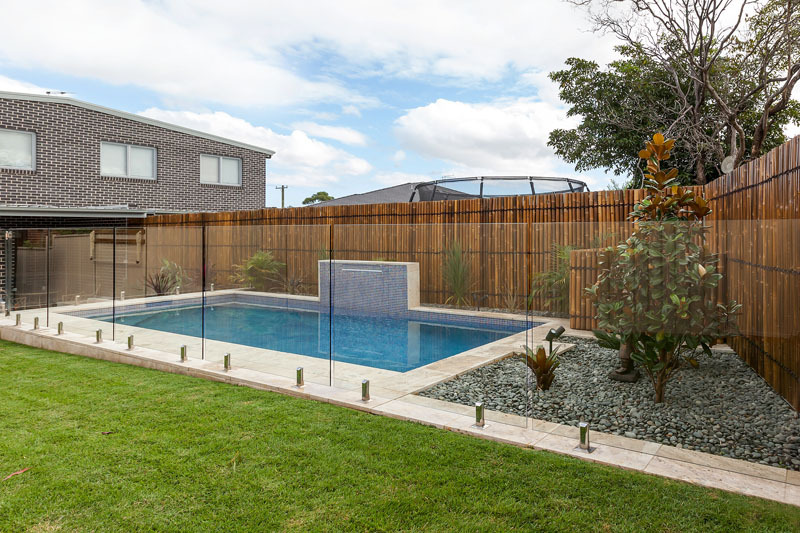 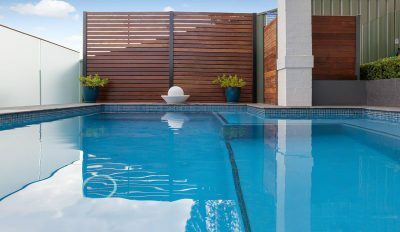 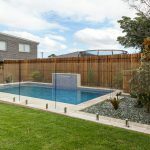 The surrounds are anchored by the backdrop of bamboo fencing which completes the natural aesthetic of this pool design.